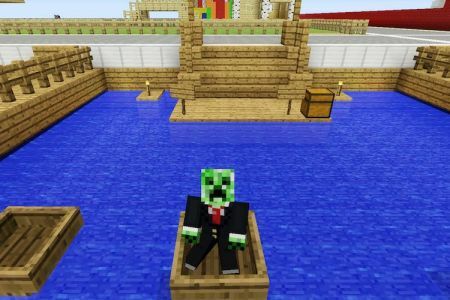 Minecraft Bumper Boats is perfect for the better together version of minecraft, since it is more fun with a few other people. 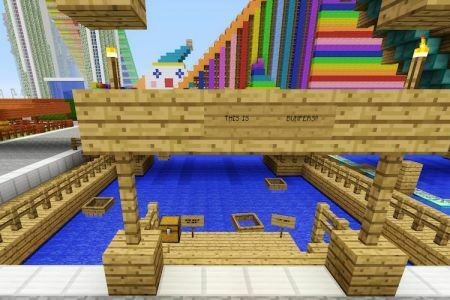 A classic spinoff of bumper cars, Minecraft bumper boats is the best version for your map or amusement park. The fun of bumper boats is that many players can join in and play together, making it even more enjoyable. Make sure you have lots of boats on hand, however, as players will break boats as they slam into each other. 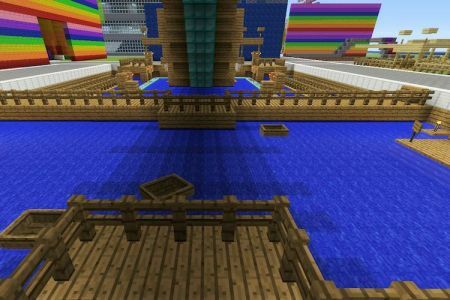 You can even make it a competitive game with the goal to break as many boats as possible. Make sure to record your game however, as things get heated when players are competing. Recreating a bumper boats pit is very easy. 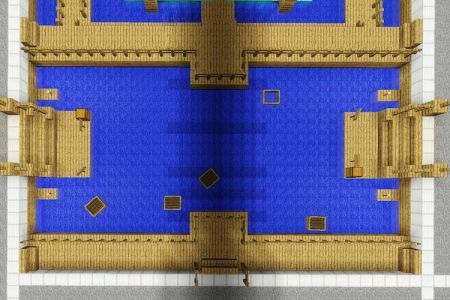 Mine is very simple and just consists of a wide pool area where players can slam around. Things don’t really need to be to crazy for players to have fun with this one. A main large pool is essential though whether your creating something small like mine or larger. 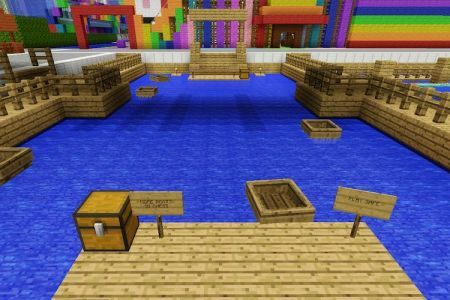 I suggest placing boats in the pool so that when players do crash together and break their boats they can easily find a new one. You might want to consider making an even larger play area with a lazy river for players to travel through and gain momentum as they come out the other side, ready to crash. I suggest not placing any obstacles in the middle because it is much more fun for players to crash into each other rather than a wall or object. I created a walkway around my competing area so that spectators could watch. I think that is also essential in a Amusement park! Since boats break on either creative or survival, your able to use this one, playing on either. 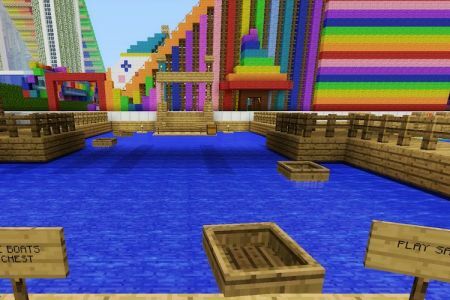 Minecraft bumper boats are basically the next best thing when it comes to real life bumper boats in MC.